We all long for that darker shade once in awhile. Several options exist on how to tan, using a tanning bed or going natural by using the UV ray﻿﻿s of the sun. Whatever your choice, we all look forward to having that healthy-looking glow in summer. It is prudent for you to hydrate immediately after tanning. High concentrations of UV lights may lead to dehydration of your skin. This exposure may, in turn, cause you to feel dizzy, parched and dry. When your skin loses the ability to retain moisture, it begins to age. You will need to drink more water than the recommended 8-oz per day, for a regular day. It also promotes healing when you get burned during tanning. Many myths revolve around showering after tanning. Many people avoid showering for even up to 24 hrs before slipping into a shower. The U rays responsible for giving you that darker shade, penetrate through your skin activating cells known as melanocytes. These cells when activated produce more melanin that in turn, changes your skin color. Therefore, taking a shower will not wash away the effects of the UV rays. However, showering may cause your skin to cool faster. When your skin cools, it causes the reddening posed by the heat to fade. It isn’t much of a big deal as the reddening will still fade over time. Studies have also shown that when you shower then apply moisturizer, your skin will not hydrate properly as compared to moisturizing alone. Before you apply moisturizer to your skin, it is recommended to use cream with hyaluronic acid. This acid is known to help retain and bind water molecules to the skin. It is a naturally produced chemical and will contribute to improving the elasticity of your skin and its hydration. If you have taken a shower, apply some cream made of hyaluronic acid, immediately. Use of moisturizers helps cool the skin and replenish moisture. They do so by replenishing the lipids that protect your skin from loss of water. Apply good-quality moisturizer to your skin and liberally, especially one with liposomes that contain Vitamin A. If you are prone to breakouts of the skin, use a moisturizer with the non-comedogenic component. This element keeps the pores from clogging. By eating right, you keep your skin hydrated and healthy. After tanning, you will need to change your diet to achieve this. What are some of the foods you should eat after tanning? Taking some green tea helps protect your skin from the damage caused by exposure to UV lights. It contains anti-carcinogenic and antioxidant properties. Eat fruits that are in polyphenols e.g. cherries, berries, grapes, pears, apples. These fruits have the same properties as green tea. They have antioxidant and anti-carcinogenic properties. Eat pomegranate or drink pomegranate juice. They contain flavonoids that protect the skin by acting as antioxidants. Also, they help prevent cancer, yes, you got that right. Polymorphous light eruption is a condition that causes red bumps to form on your skin. This condition happens after exposure to UV lights etc. If this happens to you, consult your doctor on how to treat the rash. If the condition persists, consider using alternative tanning methods. 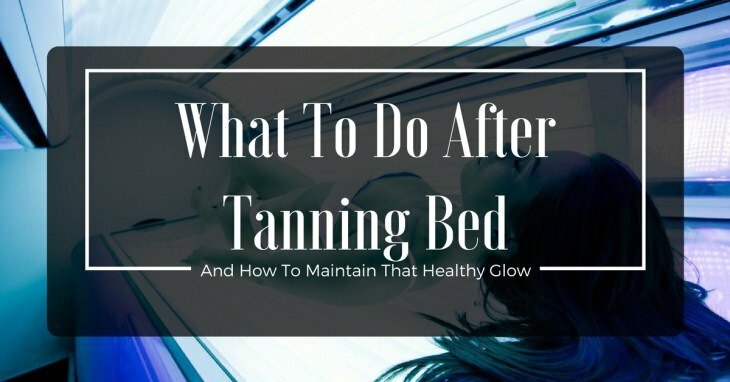 It isn’t enough to get a tan and expect to have that healthy looking glow for a long time. 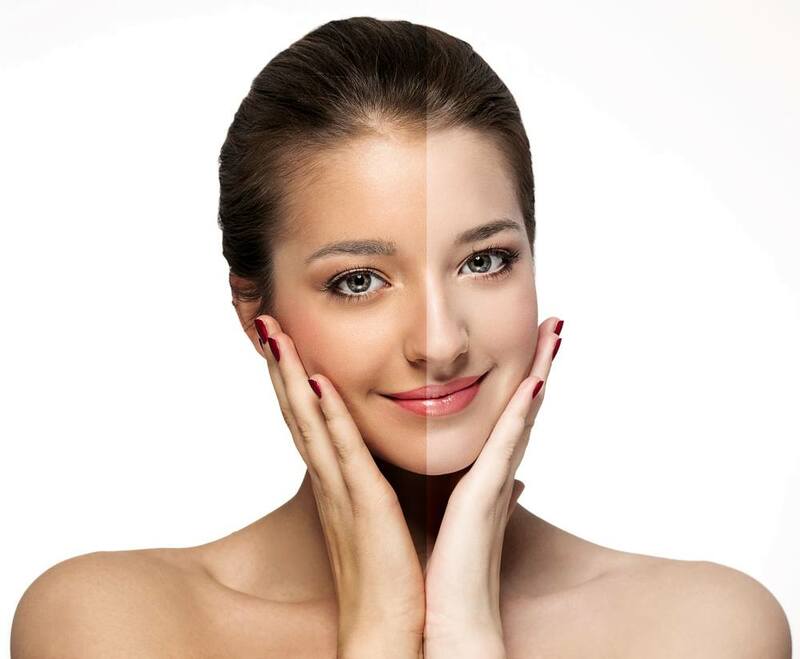 Many people have tanned themselves but haven’t gotten the results they hoped for because they didn’t take care of their skin. Tanning leads to dehydration of the skin. You need to hydrate your body, moisturize and eat right to keep that glow for longer. You should always partake of foods that have high concentrations of polyphenols. Polyphenols are good for your skin. The have both antioxidant and anti-carcinogenic properties. When you follow the outlined steps to take you will have a healthy looking skin and glow. Just what you need this summer.